Leawood prides itself on being a safe, attractive community, which values its distinctive character. The citizens of Leawood are civic-minded and are an important component in shaping Leawood’s future. 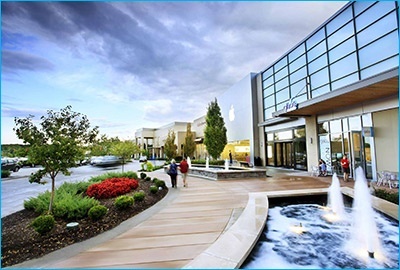 As the City of Leawood looks to the future, it will continue to maintain the residential property values, promote neighborhood-oriented commercial developments, offer a variety of high quality residential neighborhoods, sustain environmental sensitivity, retain natural landscapes and provide public, open space. With vision, as articulated in our comprehensive plan, the City of Leawood will continue to grow with distinction. Median household income in Leawood is estimated to be $117,000, 209% of the Kansas City metro area. The average appraised housing value is $472,000, with a variety of ownership and rental housing options. Excellent highway access allows employers to attract workers from throughout the Metro area. Over 200 acres of public parks that include trails, sporting facilities for league play, playgrounds, nature centers, rental cabins, challenge courses, an amphitheater, a dog park, and more. Picturesque tree-lined streets, well-maintained roadways, and public art. The Leawood community has nearly 1,000 business establishments who currently employ more than 17,000 individuals. Leawood offers over a half million square feet of Class A office space. The median age of residents is 44.5 years. Leawood is firmly rooted in its prime earning and workplace achievement years making it an ideal demographic for businesses seeking to grow. Leawood’s two school districts, Blue Valley School District and Shawnee Mission School District, are each recognized among the nation’s most challenging and effective for students of all learning levels, according to various industry-wide rankings.